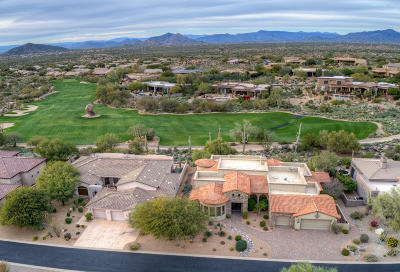 Exclusive location on the Signature hole #3 of The Monument course at Troon North, very quiet street. 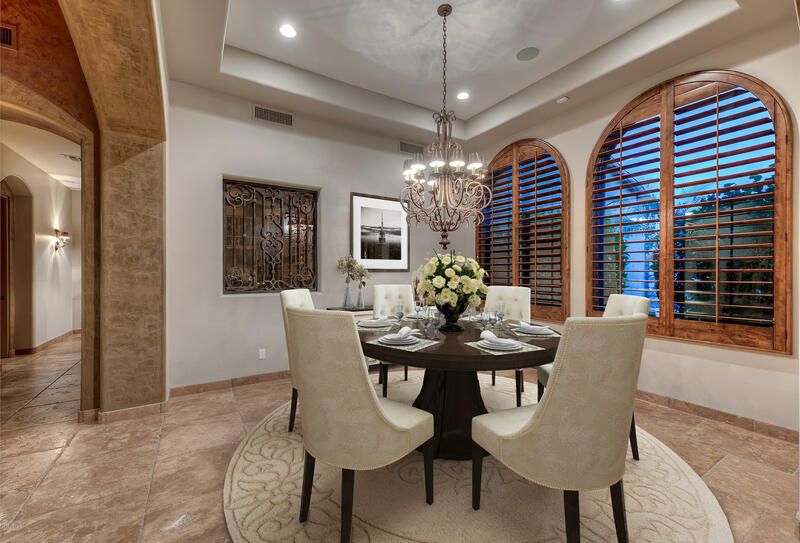 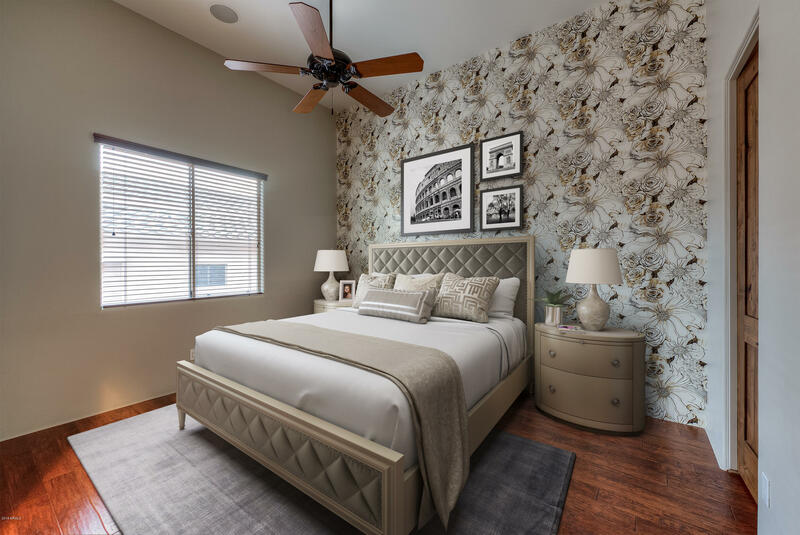 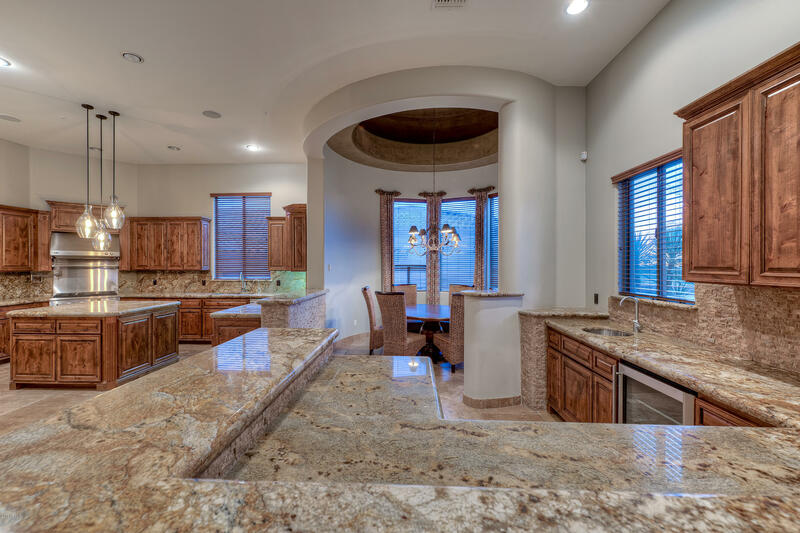 Beautiful single level custom home by Red Moon Development.Finest finishes with 12+ feet high celings, venetian plaster, travertin & hickory wood flooring. 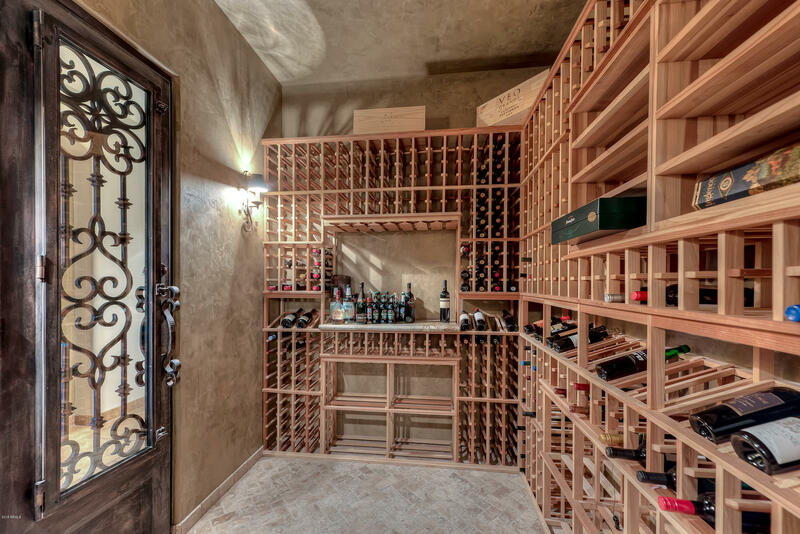 Open floor plan with formal dining area, chef's kitchen with stainless steel appliances, walk-in pantry, 900 bottle wine room, full size bar, stuning fireplace in the living. 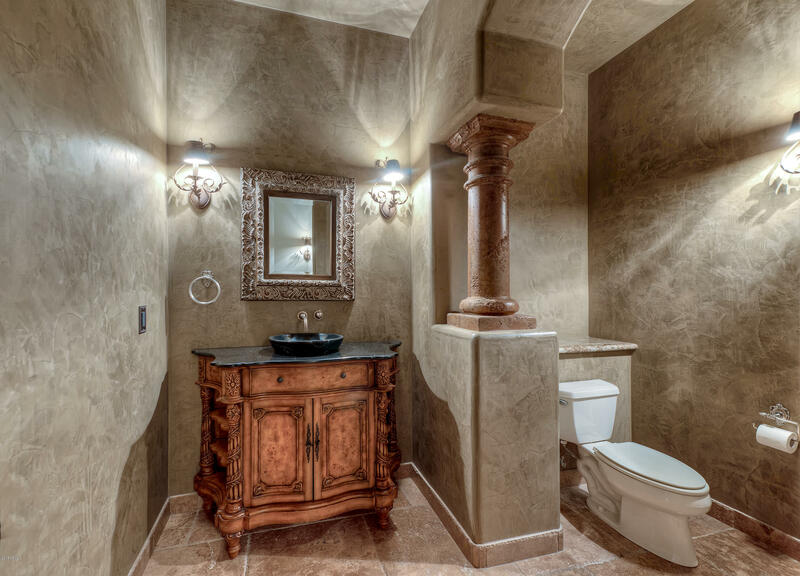 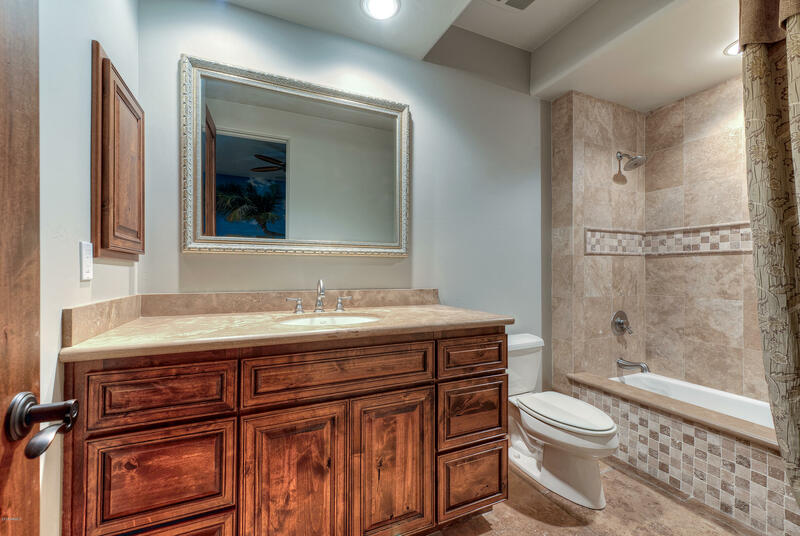 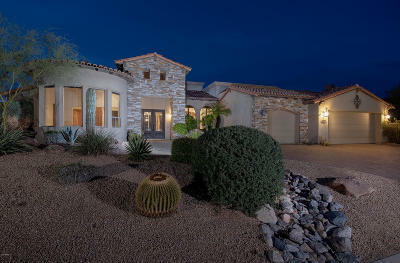 Comfortable Master Suite with fireplace, sitting area & direct access to the pool. 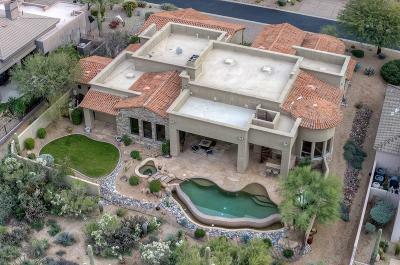 Perfect backyard for entertainment with negative edge pool & spa with waterfall, custom built-in BBQ, spacious covered patio with flagstone flooring and more fun on the rooftop deck overlooking the golf course, offering 360 degrees view of Pinnacle Peak, mountains/.. /... desert and Arizona spectacular sunsets. 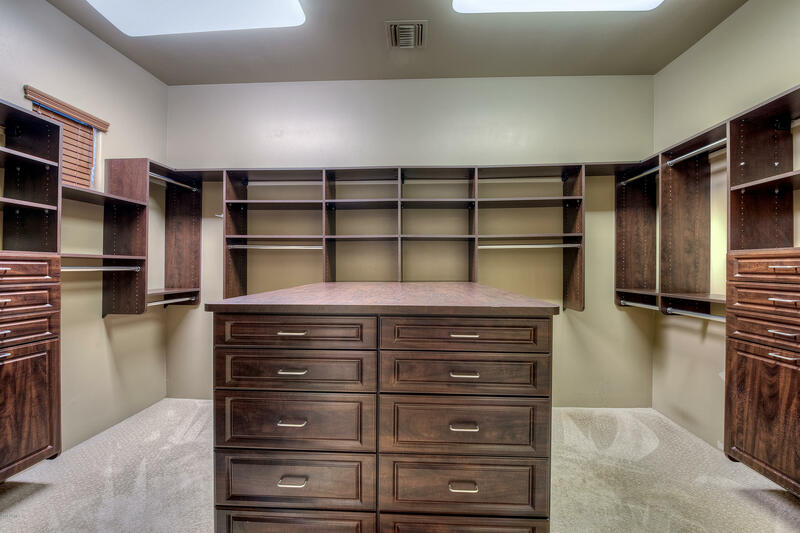 Generous 3 car garage with plenty of storage. 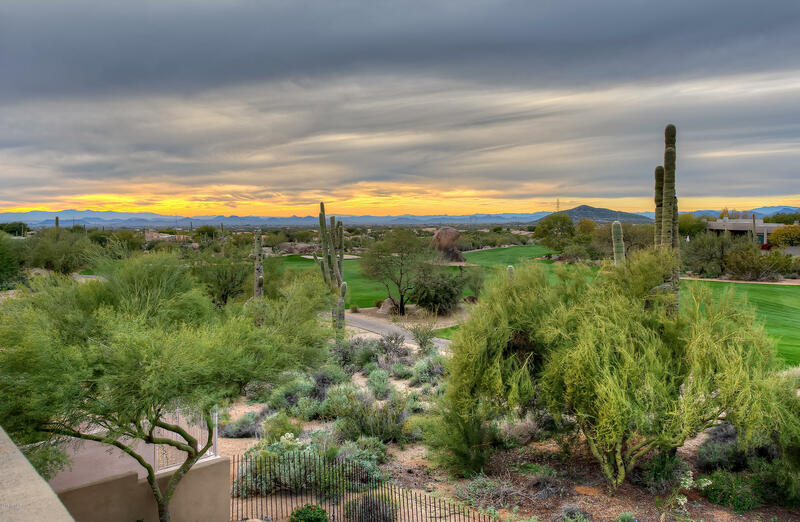 Golf membership available, Troon North is offering two of the most renowned golf courses Monument and Pinnacle. Recreation park reserved to Troon North homeowners with two tennis courts, basketball and playground. 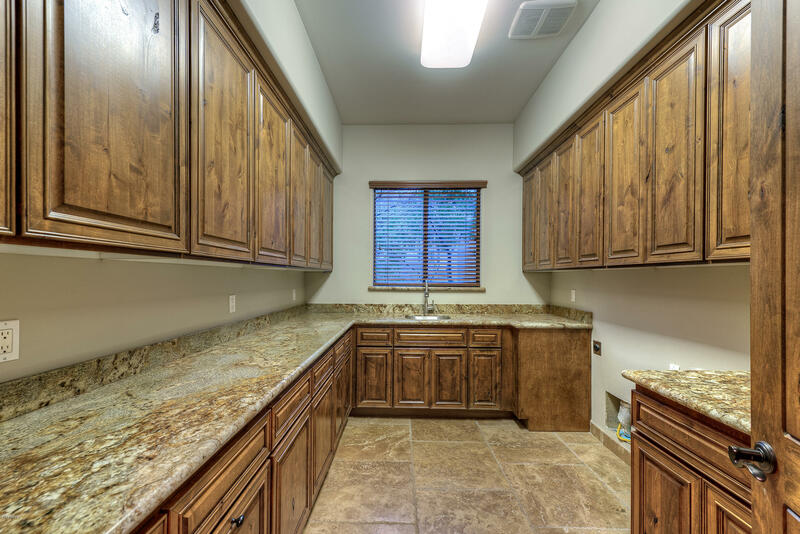 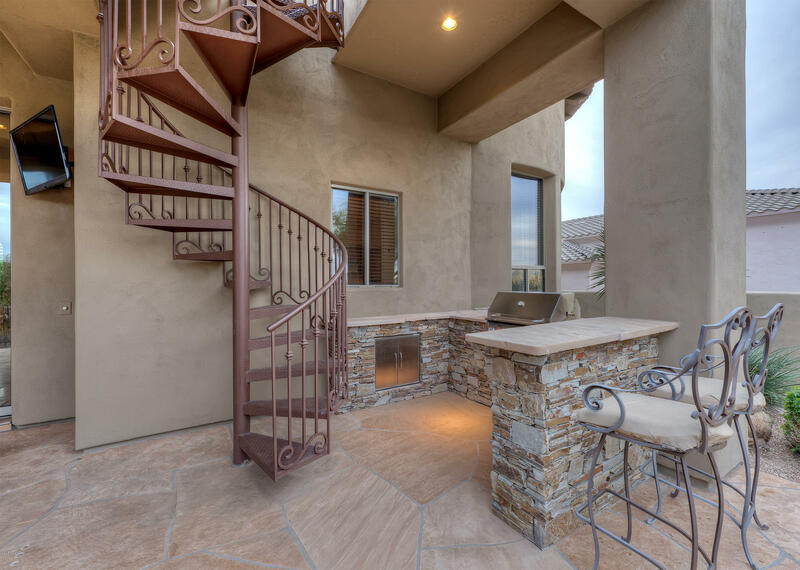 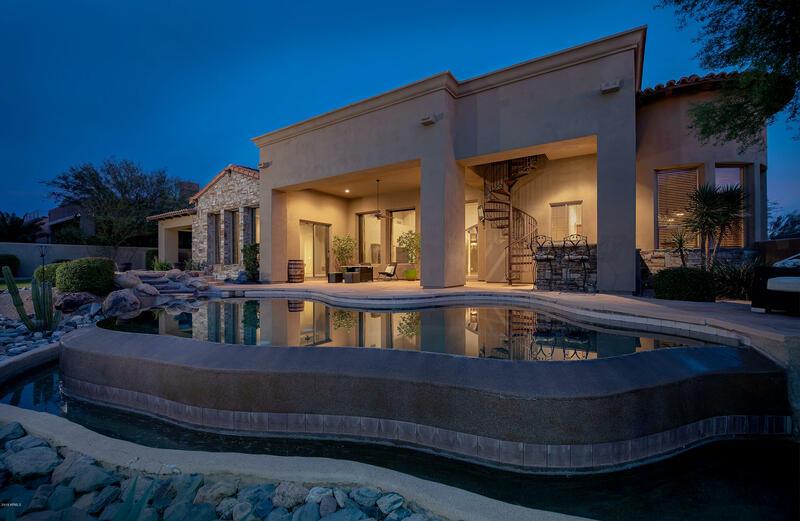 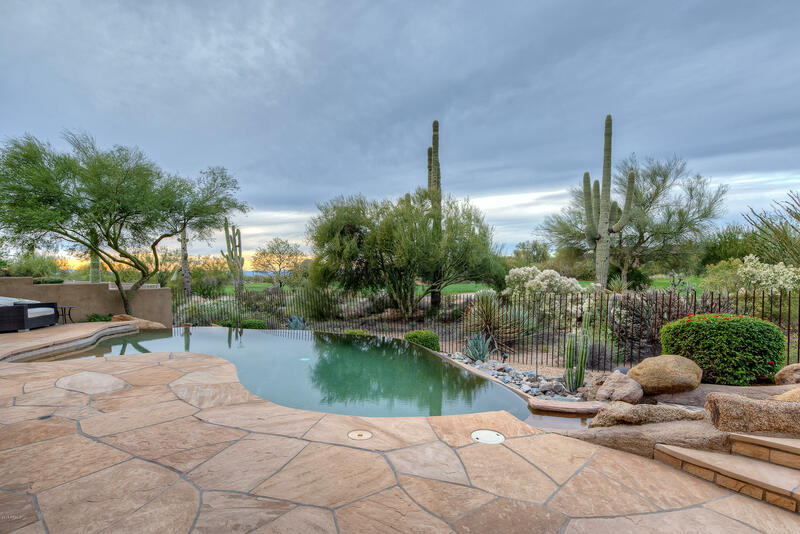 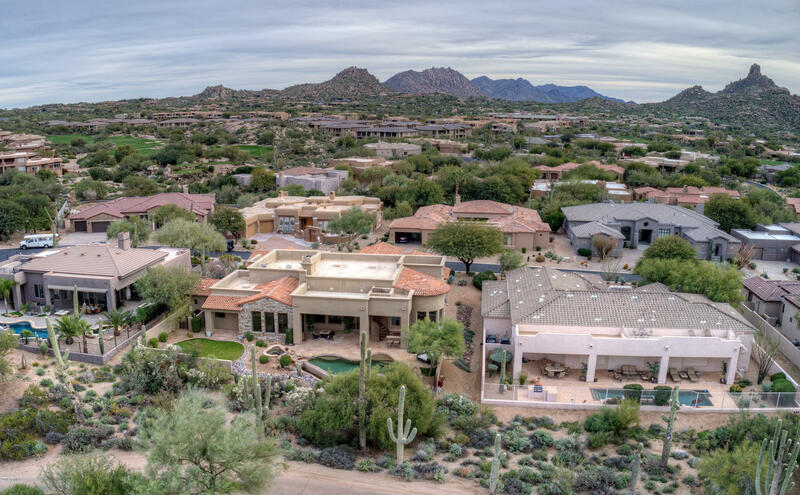 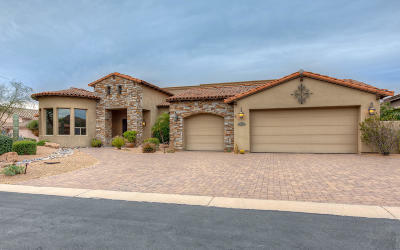 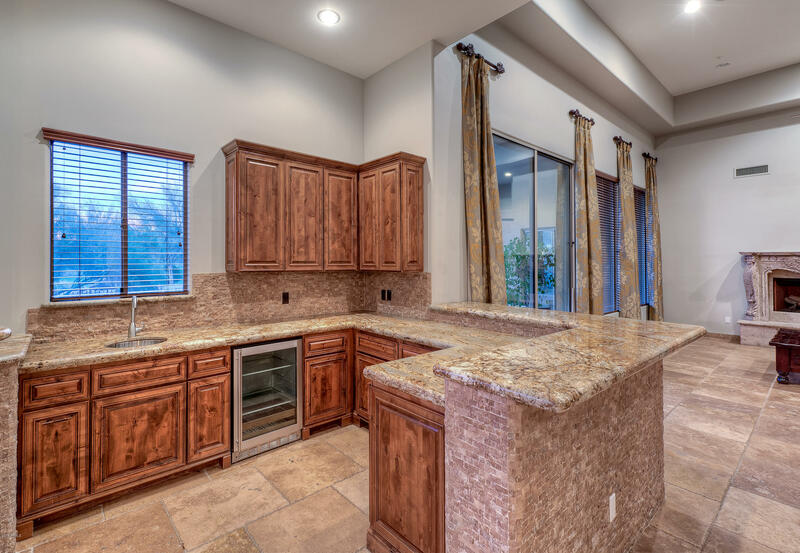 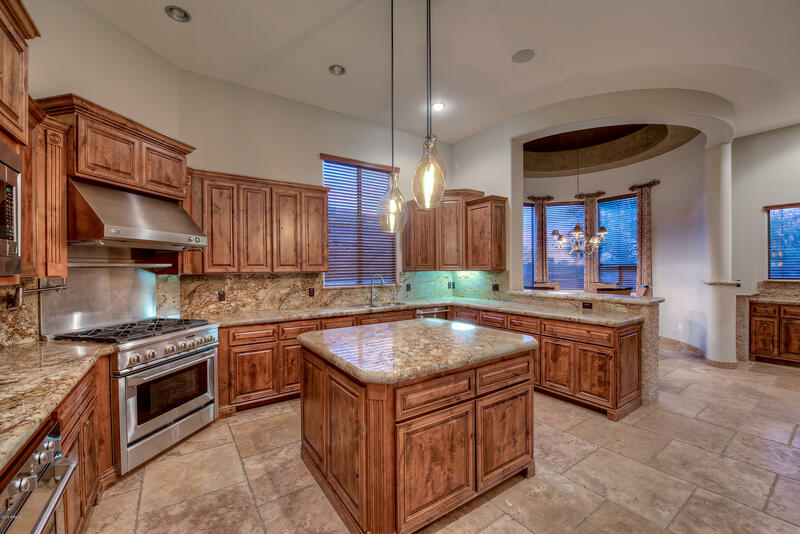 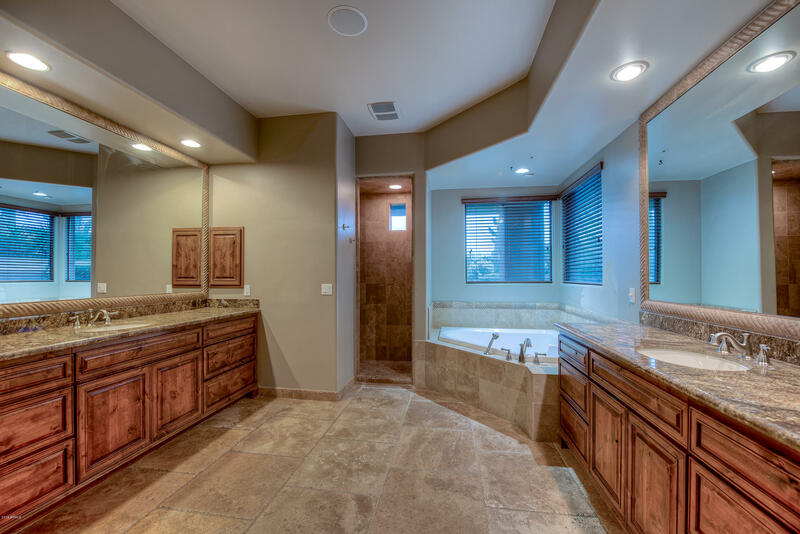 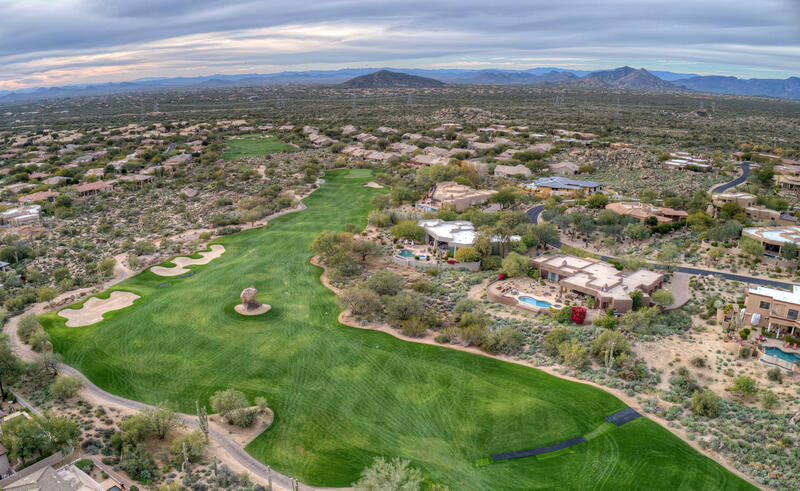 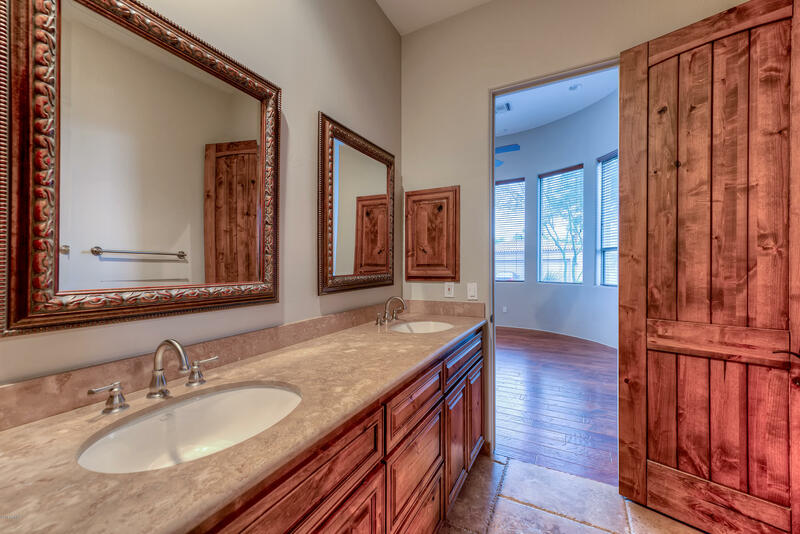 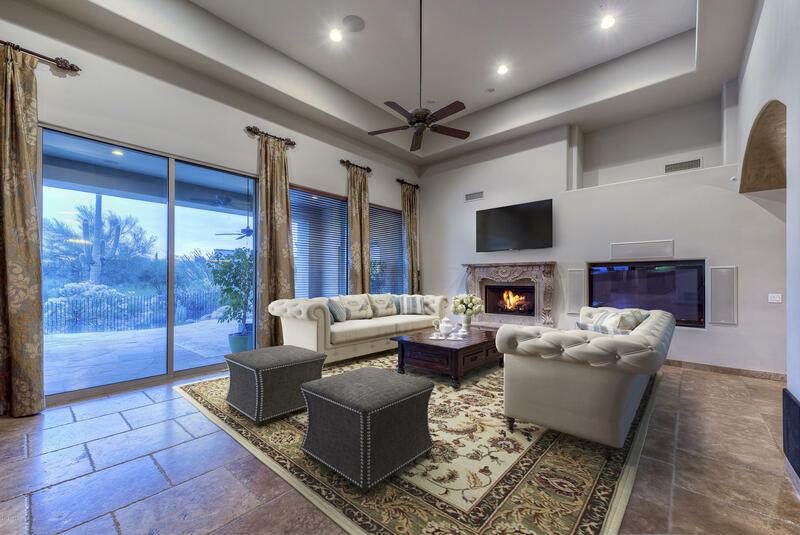 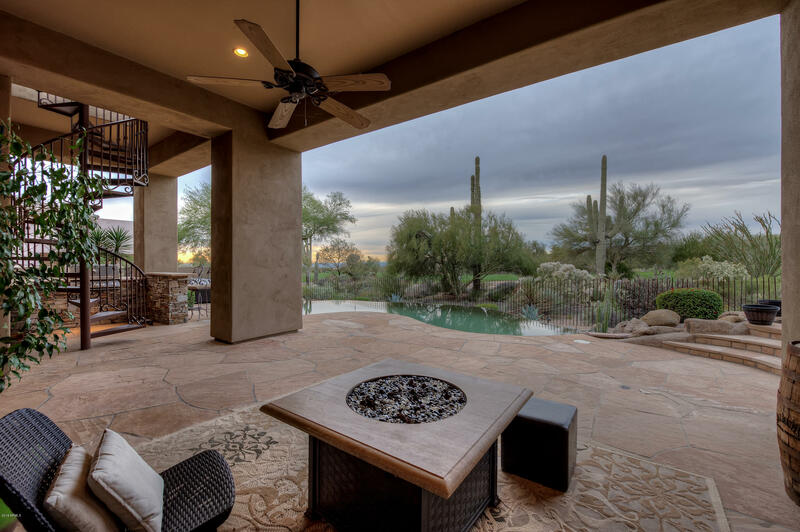 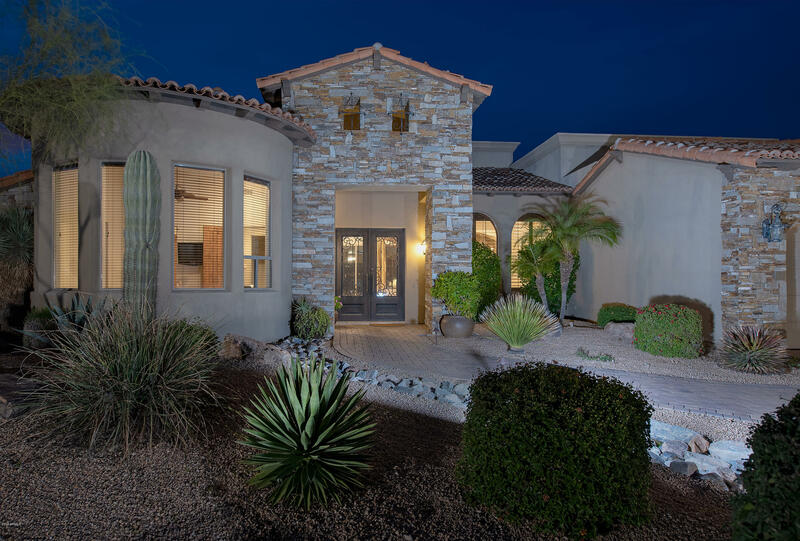 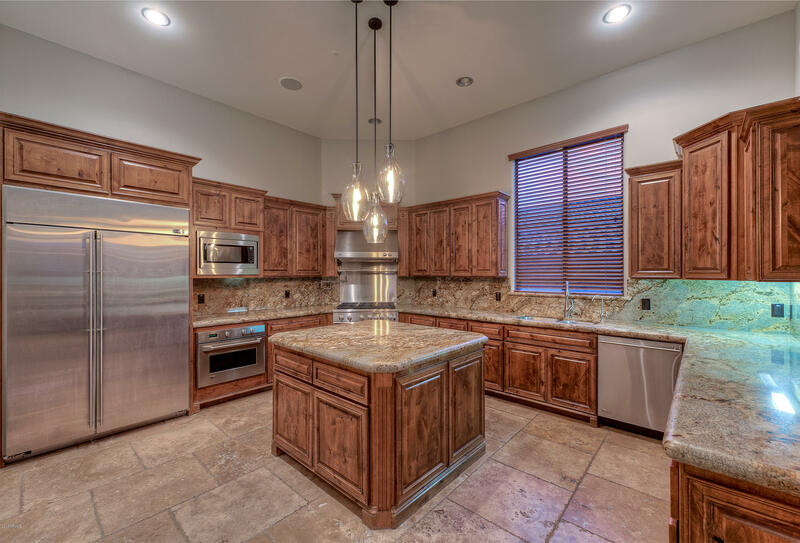 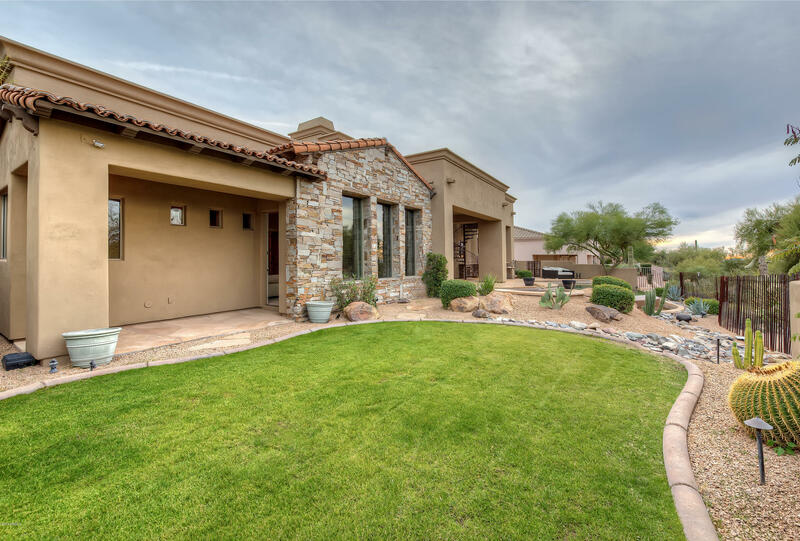  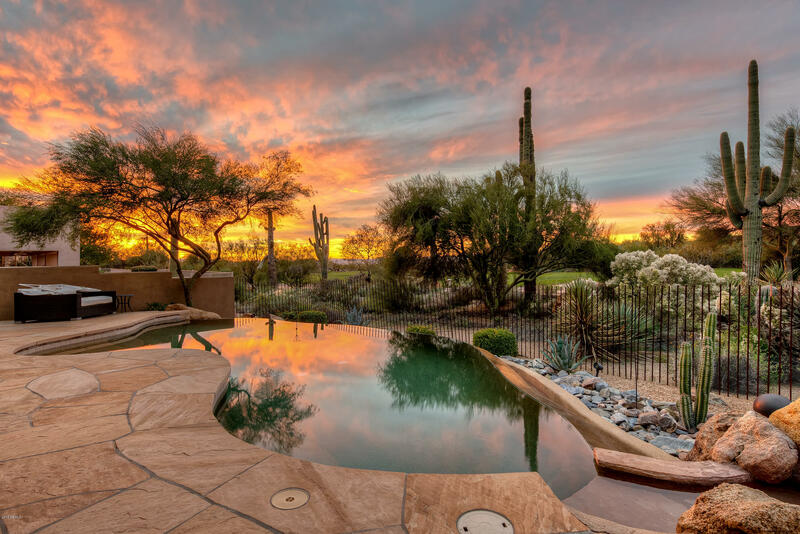 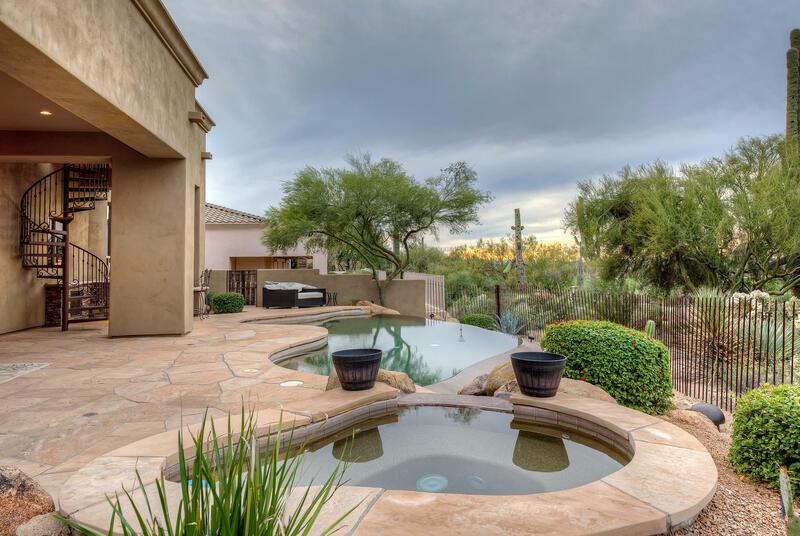 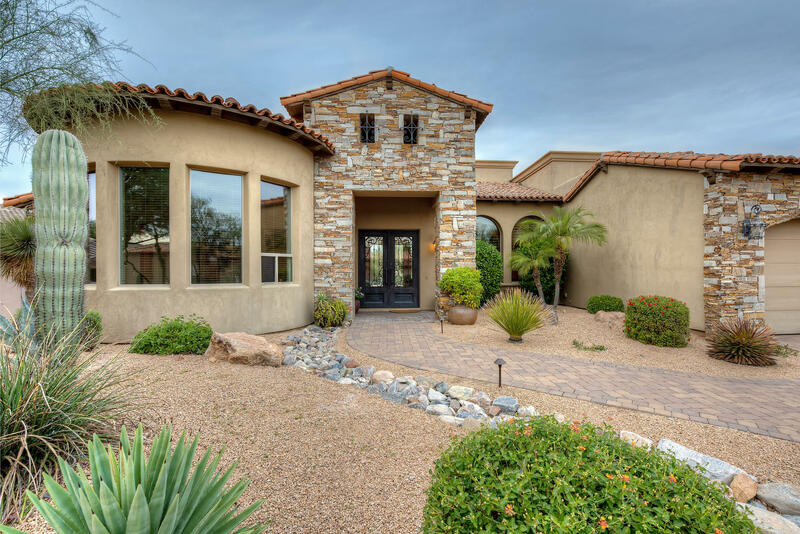 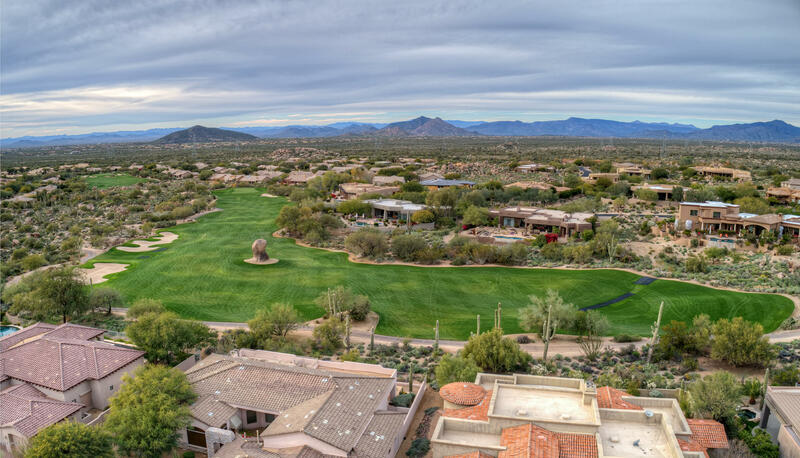 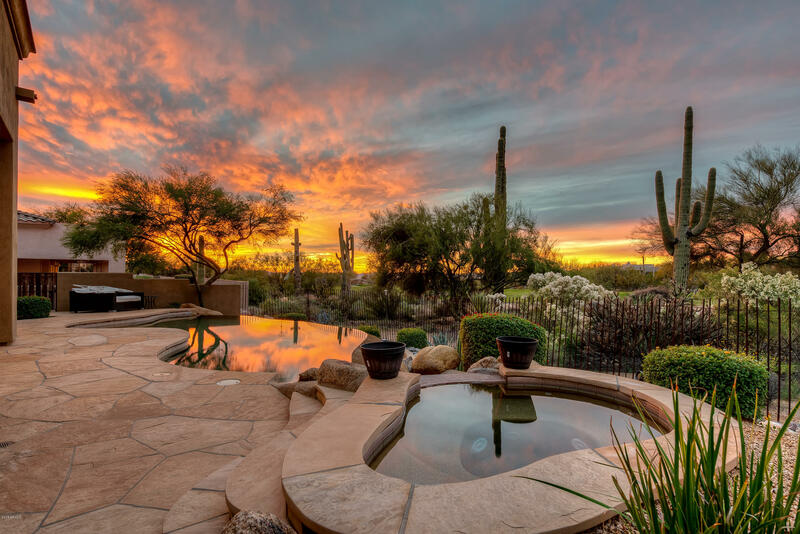 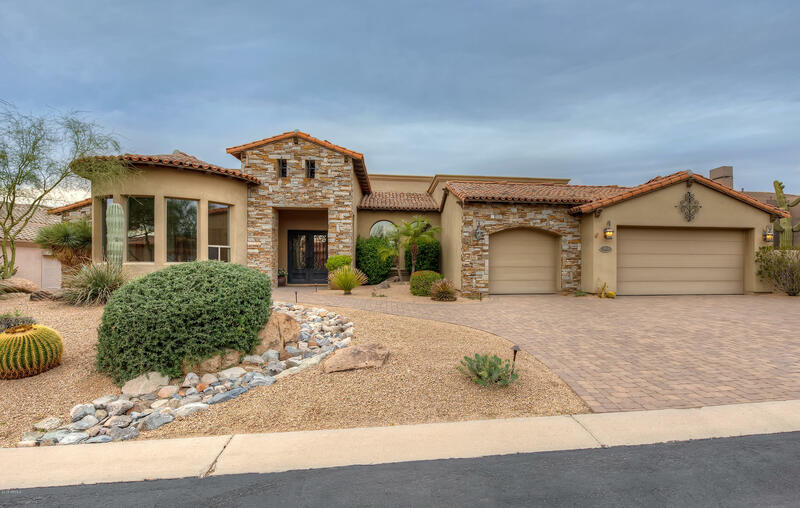 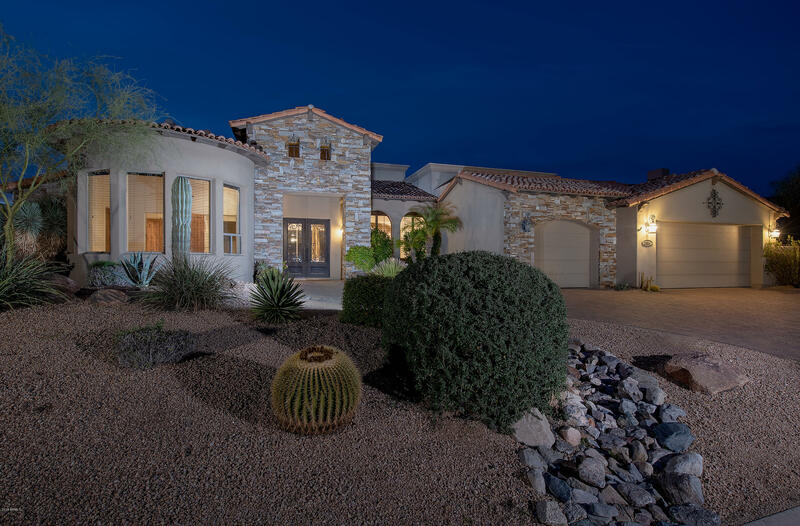 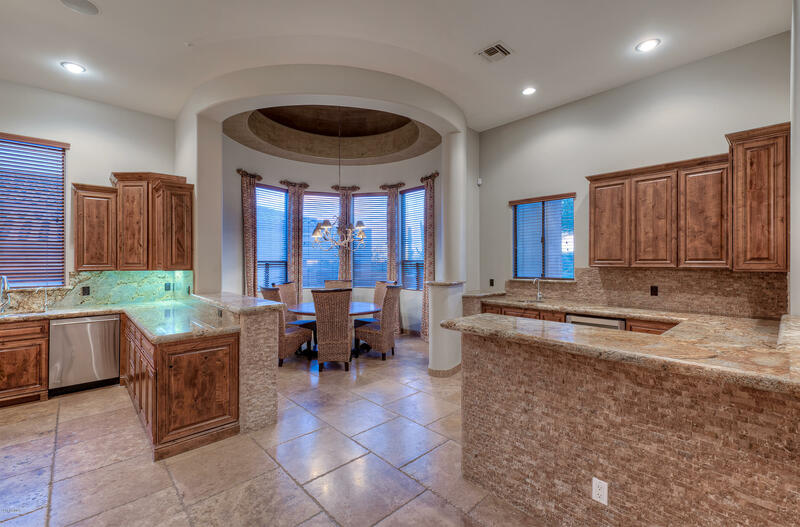 Direct access to Hiking & mountain biking at the Brown Ranch park & a few minutes from famous Pinnacle Peak hiking trail, Saturday Troon farmer's market & more. 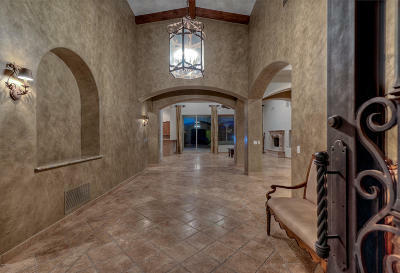 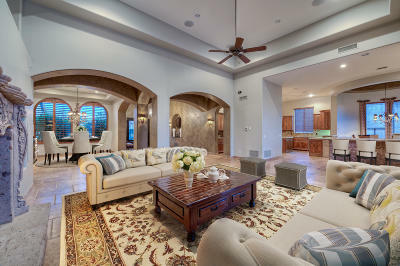 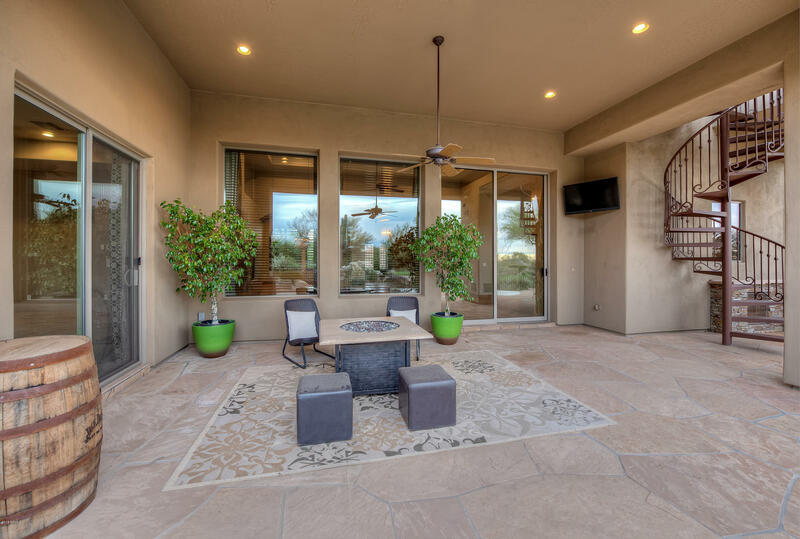 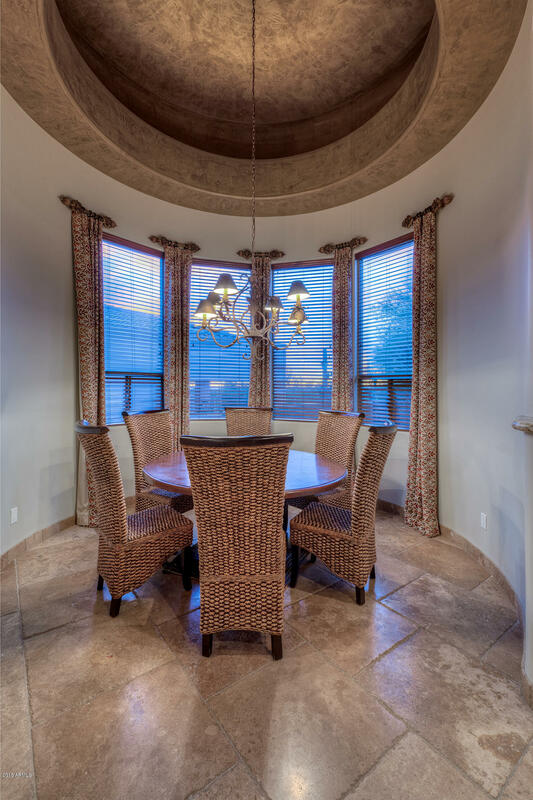 The perfect desert lifestyle is waiting for you!